Last year I went to the Bendigo Sheep and Wool Show with a friend. We had a great time, and I spent plenty! Just recently I decided to spin some of the prepared fibre I bought there. This is grey merino/llama/silk dyed by the Thylacine in Evandale. 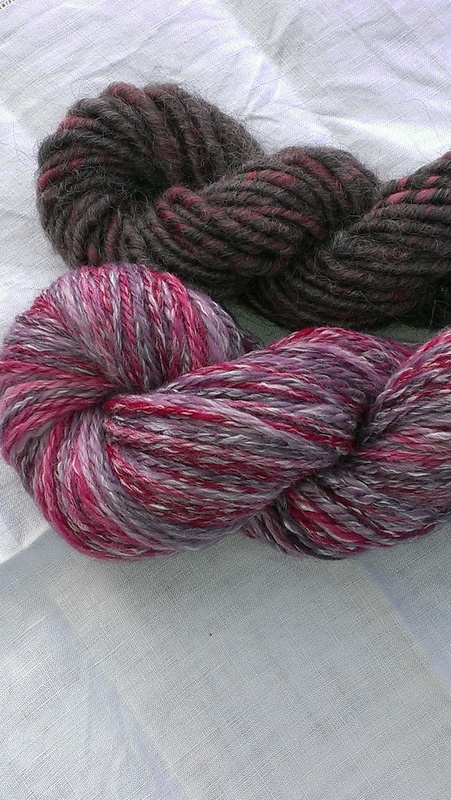 It was luscious to spin and inspired me to get back to dyeing over grey fleece. I chain-plied it to maintain distinct colours. 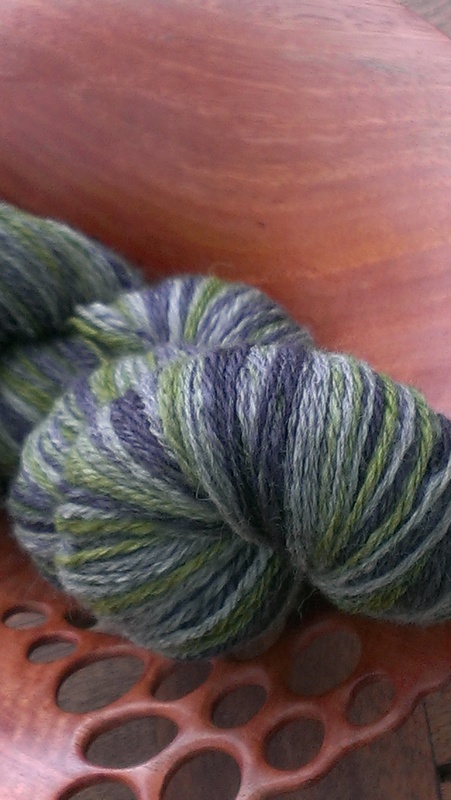 I bought some Raxor batts: Corriedale x English Leicester and Blue-faced Leicester in ‘Before dawn’. Clearly also from my grey period. I core spun these over a crossbred grey wool core. The pink skein is chain plied merino/bamboo dyed ‘berry lush’ from Kathys Fibres. All a delight to spin. Niiice! I also like dyeing over grey. My favourite here is the dark one over the pink I think, but all of them nice spinning!